I am making a toile for Vogue 1662 a Pierre Cardin suit that I plan to make up. Galina asked me to explain how I did the hem. Most clothes are cut on the straight grain, with the warp (the vertical thread) lined up with the selvedge. Garments are usually cut with this grain running down the garment with the weft (the horizontal thread) running across the body. The warp is usually the stronger thread. The bias is the cross grain – fold a napkin into a triangle and pull and you will experience the stretch that occurs on the bias. A bias cut garment makes use of this stretch to create a different effect – usually a garment that moulds itself onto the curves of the body. Bias cut is pretty rare in ready to wear as it uses more fabric than the straight grain cut, and can be challenging to manufacture.The hem is usually cut straight across the grain meaning it is at its most stretchy exactly where you want it to be nice and straight and parallel with the floor. So hemming these items is challenging. I did have a nice satin M&S petticoat a few years ago, but jersey has become the dominant (stretchy) fabric. Before jersey was so widespread bias cutting allowed designers to produce close fitting garments without darts, creating a sinuous line. 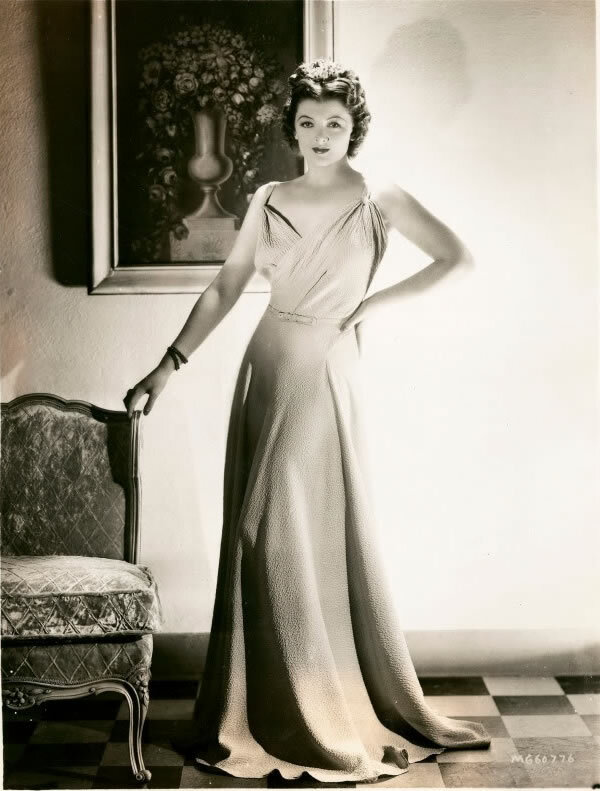 By using luxurious fabrics such as silk-satin they produced the most wonderful evening dresses – many of the 1930s movie stars wore these gorgeous creations. So the quality that is so lovely about the bias cut is also its downfall. The stretchiness means the garment’s grain is also somewhat unstable. Because of this have a preference for making bias items with the seaming at the centre front and centre back. This enables you to cut the pieces as mirror-images of each other and create a chevron effect with the grain. Of course not having side seams means we must sacrifice shaping the skirt or top this way, as we would normally do. 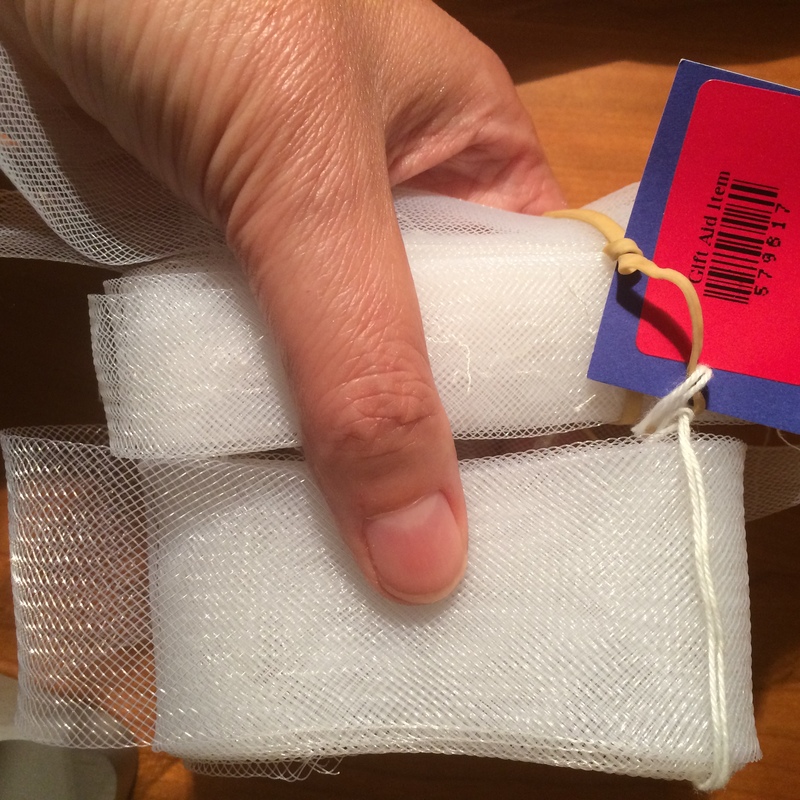 But the flexibility of the fabric ensures this does not create an issue. Normally we do not need to create darts either. The Pierre Cardin skirt I made is cut in three main pieces – one front and two backs – in such a way that the grain spirals around the body in one direction. I followed the instructions which proposed hanging the skirt pieces over night before sewing them up. This allows the fabric to shift about a bit and “relax” into the bias position. 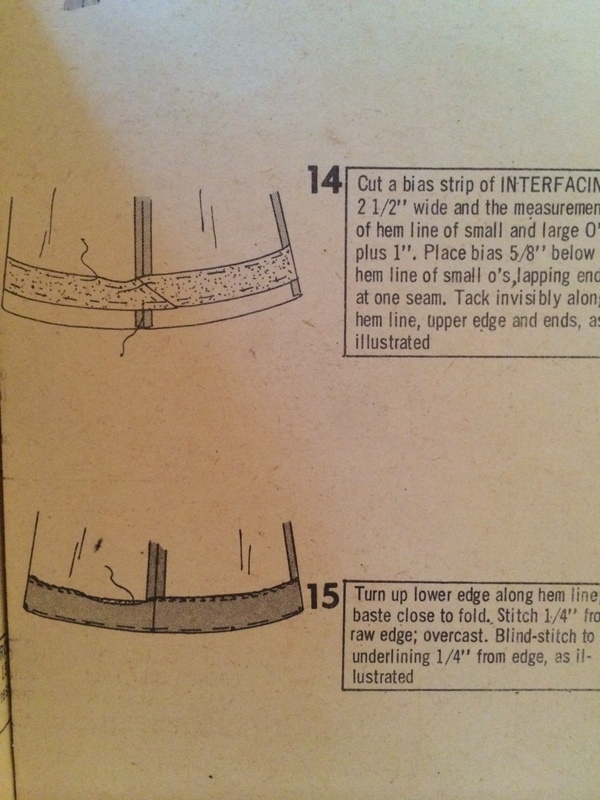 Here are the instructions for completing the hem. As I was making a toile rather than the final item I did not underline it. Nor did I use a bias strip of interfacing. I used up some Crin (“horsehair braid”) that I had picked up in a charity shop. This was not as wide as proposed, but it did the trick (I used the wider piece). I attached it with a slip stitch to the hem line itself, joined the crin up without an overlap, folded the hem up and stitched it with a herringbone stitch. I almost always use the herringbone stitch for hems as it is more stable than a blind hemming stitch and it finishes the cut edge too. Its not the neatest work ever, but this is the dry run! I know that long bias cut evening dresses, or fuller styles, especially where a shaped hem is a design feature, will be far more difficult than this fairly straight skirt. But it wasn’t hard to get a nice clean hem. Does anyone else have a better way? Thank you for posting this Kate. I think some sort of interfacing is key. It adds weight and thus insures a neat hem line. I have missed this bit so far. For a slightly more flared skirt, another option is to use a bias strip, rather than turning the hem up. I wonder weather using iron-on interfacing would kill the look? Thank you for this, Kate. I love the look of a bias cut skirt or dress, although I’ve only ever made one (and not well). 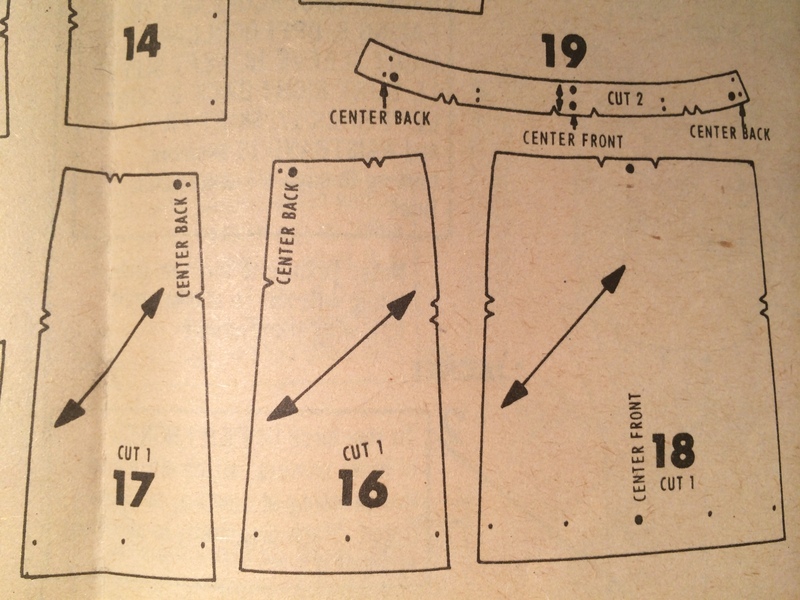 It’s funny – my Molyneux pattern is not bias cut but has exactly the same hem instructions as your pattern. I have never used interfacing for the hem so I am curious to try this technique. 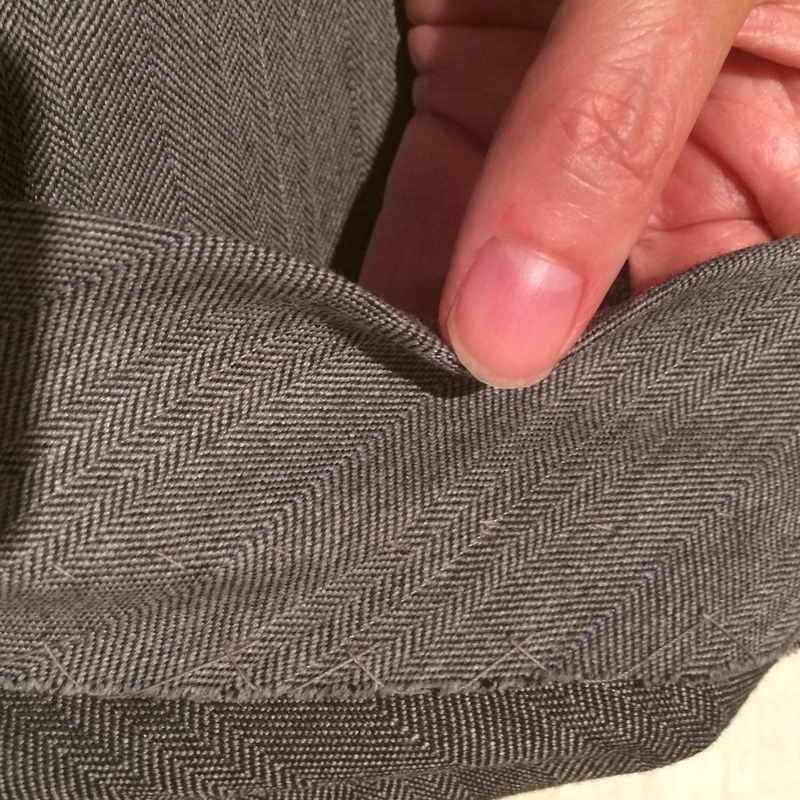 I also have been using a herringbone stitch on hems but honestly without knowing why I did it. I think my mother must have taught me to hem at one point. The warp is the stronger thread, running lengthwise, parallel to the selvage. The weft runs across the grain line, perpendicular to the selvage.